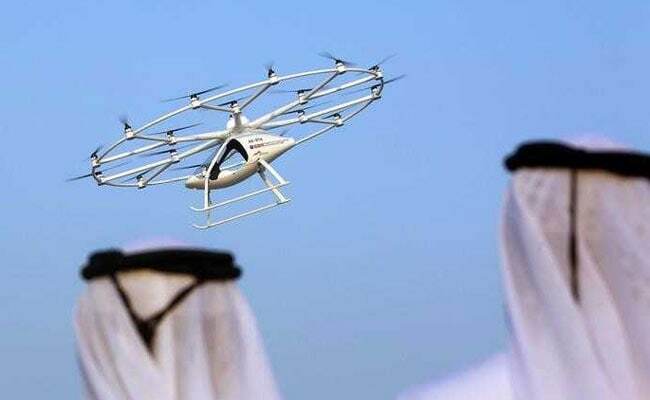 The first flight of Dubai's flying taxi took off at a ceremony arranged for Dubai Crown Prince Sheikh Hamdan bin Mohammed. 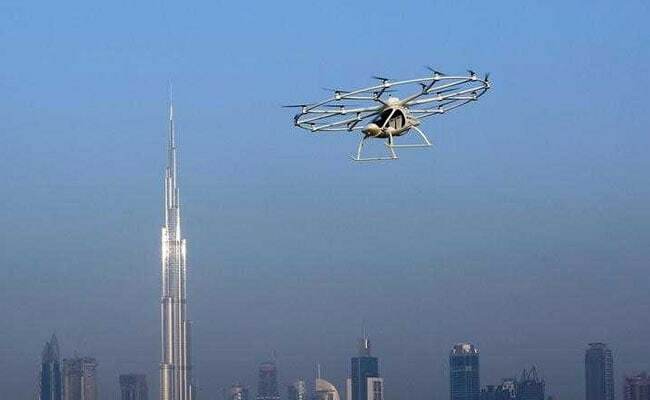 Dubai staged a test flight on Monday for what it said would soon be the world's first drone taxi service under an ambitious plan by the United Arab Emirates city to lead the Arab world in innovation. The flying taxi was developed by German drone firm Volocopter. "Implementation would see you using your smartphone, having an app, and ordering a Volocopter to the next voloport near you. The volocopter would come and autonomously pick you up and take you to your destination," CEO Florian Reuter said. "It already is capable of flying based on GPS tracks today, and we will implement full sense capability, also dealing with unknown obstacles on the way," he added, saying developers aimed to initiate the taxis within five years. Dubai Crown Prince Sheikh Hamdan bin Mohammed bin Rashid Al Maktoum is seen inside the flying taxi. 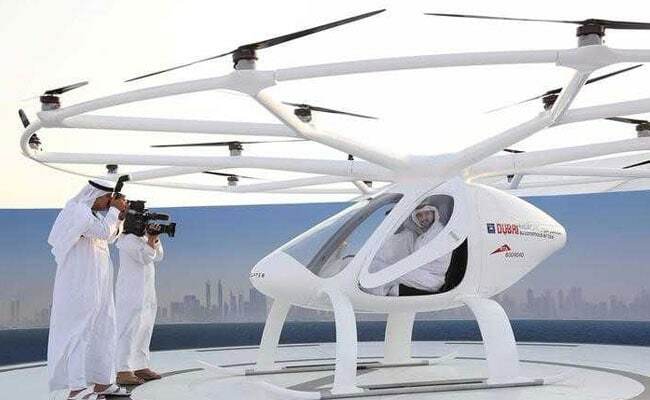 In Monday's test flight, the device hovered upward about 200 meters and whirred for about five minutes over a windswept patch of sand astride the emirate's Gulf coast.